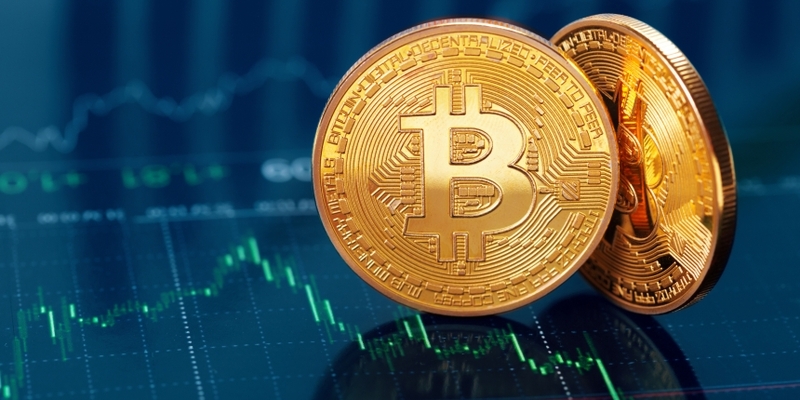 Bitcoin (BTC) could defend the immediate support of $6,000 in the short-term as the recent sell-off is looking overstretched on the technical charts. The world’s largest cryptocurrency by market capitalization fell for the third straight day on Wednesday to hit a three-week low of $6,121 on Bitfinex and was last seen trading at $6,320 – down 26 percent from the July 24 high of $8,507. Notably, almost half of the 26 percent drop witnessed over the last two weeks has happened in the last 48 hours, likely indicating investors have been left unimpressed by the US Securities and Exchange Commission’s (SEC’s) decision to postpone any action regarding a bitcoin ETF proposal from VanEck SolidX Bitcoin Trust. So, there is little likelihood of the bulls making a strong comeback in the short-term. Even so, the bears look to be reaching a point of exhaustion, having engineered a near 90-degree sell-off in the last two weeks. The technical charts are also indicating the bitcoin market is nearing oversold conditions. As a result, we could be in for a bout of consolidation or a minor corrective rally. As the above chart shows, BTC convincingly closed (as per UTC) below the ascending trendline yesterday, boosting the odds of a further sell-off. The cryptocurrency has also found acceptance below $6,344 (78.6 percent Fibonacci retracement of the rally from $5,755 to $8,507), which only adds to the overall bearish tone of the market. Hence, a drop to $6,000 (psychological support) cannot be ruled out, although the bearish momentum is likely to wane as the relative strength index (RSI) is closing on the oversold territory (below 30.00). Further, the short-duration charts are reporting oversold conditions. The RSI on the 4-hour chart fell back below 30.00 (oversold levels) and hit the lowest level since June 22 earlier today, meaning the cryptocurrency is at its most oversold in seven weeks. This also backs up the likelihood of a brief rally or period of consolidation ahead. However, the sustainability of the gains is under question as the 50-candle MA has crossed the 200-candle MA from above (bearish crossover). More importantly, the stacking order of the three major MAs (50-candle below 100-candle below 200-candle) is a classic bearish indicator. What’s more, the 5-day and 10-day MAs continue to slope downwards in a bear-friendly manner. The bearish momentum in BTC could wane in the next 24 hours, allowing the cryptocurrency to defend the immediate support of $6,000. A corrective rally cannot be ruled out but is seen running out of steam around the downward sloping 5-day and 10-day MAs, currently located at $6,660 and $7,000, respectively. A daily close (as per UTC) above the 10-day MA would weaken the bearish pressure. Acceptance below $6,000 would shift risk in favor of a drop to $5,755 (June lows) and could be followed by a “V-shaped” recovery to current levels as the indicators are flashing oversold conditions.